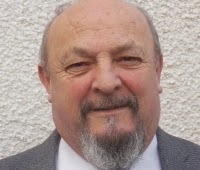 The Hengoed ward, of which I am a Carmarthenshire County Councillor and Llanelli Rural Councillor, will hold a by-election on Thursday 19th February 2015 , following the sad death in December of my fellow councillor George Edwards. Hengoed is a big ward and supplies two councillors to Carmarthenshire County Council and four councillors to Llanelli Rural Council. Wynford Samuel is standing for People First and I ask you to support Wynford and vote for him. I need an ally to stand with me in the local councils. In these times of cuts we need to fight hard for this ward and take care of our facilities and vulnerable residents. In the County Council, Welsh Government Auditors have found that senior councillors authorised unlawful payments. We need to ensure that no more money goes astray and every penny is properly spent for the public good. The Welsh Local Government Association has investigated Carmarthenshire County Council and found it wanting. Wynford is not the sort of man to put up with secret pay rises, hiding problems and wasting money. 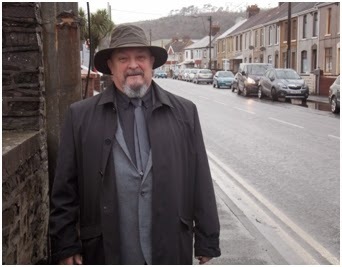 I am Wynford Samuel, 65, born and bred in Pwll and living now in Sandy Road. A former tool maker, shop steward and self-employed plumber, I’m now retired. I have 2 children and 4 grandchildren, all living locally. I was a Labour member and supporter, but feel they have not made a good job of running the council. I am now am standing for People First, to be truly independent and properly represent the people. I want to stop services and facilities leaving our area and prevent the disgraced County chief executive getting a massive pay off when he leaves. I want to work with Sian Caiach to stop the dodgy financial dealings and clean up the Council. Please vote for me on February 19th. The Officers you deal with are not necessarily working for the good of your constituents and it is time you all started to stand up against what appears to be their dictatorial rule. Look deeper and realise some of the officers themselves are being coerced into acting against the public interest. Look at some of the OMBUDSMAN's Reports "Maladministration" is regularly mentioned. In my mind this is tantamount to Misconduct in Public Office. I know you are not encouraged to look at these reports and even members on the relevant scrutiny committees say they know nothing about the reports (I was told personally by a member who sat on my Staff Disciplinary Appeal Panel who was also involved in the Social Services Scrutiny Committee that she knew nothing of the damning Ombudsman Report of September 2009.). Why is so much information being kept from the members? Is the Executive party to the covering up of information that is given to the Chief Executive Officer, by the Ombudsman, to encourage change to the way they handle not only COMPLAINTS but also Whistleblowing and POVA; is the Executive so enamoured of the CE's charm that they automatically agree with his reasoning because HE knows best? All I can say to you members is stand up and be counted, don't just follow blindly, delve deeper into matters that effect your constituents and the public interest in general. Just because you are told to keep out of looking into something that's suspect, by officers or members of the executive that should not stop you. Your constituents should be your first priority and if officers are failing to follow policies and procedures put in place for the benefit and safety of the public and service users it is a matter worth asking questions about. We rely on you to keep this Council on the straight and narrow. I wish you all the best and do the right thing PLEASE!! 13 February 2015 at 11:11"
The link is very interesting and I believe describes certain officers in the CCC.What I am asking members to do is something that our representatives are entitled to do and I believe would not clash with Bells Principles. Good luck Wynford with your campaign. Unfortunately a hard fought battle between Plaid and the Labour Party combined with a large UKIP protest vote drowned our chances in the Hengoed By election. It wasn't really about the local council by-election in the end.To add insult and confusion to injury, the independent candidate used the bye line "Putting People First"on his leaflets. Lessons learned:- work on fundraising, clarify the message and, if possible, recruit legions. Highlight of the count - the moment near the end when Labour thought Plaid had won the County [wrongly] and Plaid thought Labour had won [rightly] and glum faces broke out universally. A very close result with Labour winning by 22 votes. So two new recruits to coalitions with the Affiliated Independents, Penny Edwards for Labour at County level, where Labour lead a coaltion with AI while Susan Phillips for Plaid joins the controlling group led by AI in Llanelli Rural Council.